KJV Life Application Study Bible Large Print by Tyndale House was published by Tyndale House Publishers in March 2003 and is our 19668th best seller. 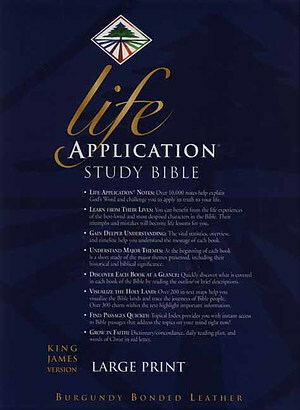 The ISBN for KJV Life Application Study Bible Large Print is 9780842368841. Is the LORD JESUS CHRIST words typed in red ink?